Power Ground Modules combine equipment ground points and power receptacles serving the same location into a common module. 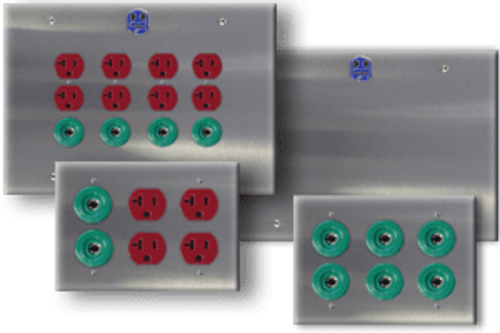 PG LifeLink modules incorporate any desired combination of twist-lock, simplex, duplex and/or hospital grade power receptacles, and twist-lock ground jacks. Receptacles and/or ground jacks are mounted in a brushed stainless steel trim plate. An internal reference ground bus with spare lugs is included for easy grounding of other electrical equipment. Power Ground (PG) Modules are ideal wherever additional ground jacks and power receptacles are required, but when lugs for hard grounding of non-electrical items are not necessary. For ease of installation, these units come with devices mounted to front trim. PG modules may incorporate NEMA 5-20R, hospital grade receptacle outlets, and/or 30A hospital grade twist-lock ground jacks. 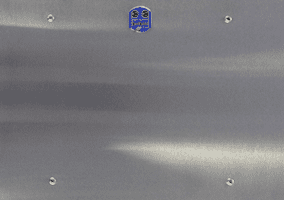 The front trim plate is constructed from a polished 304 stainless steel. A galvanized steel back box with internal ground bus is also included. Units are also available without ground bus and back box. In this configuration, the user is to provide a standard gang electrical box. Patient Ground Modules provide the means by which equipment within critical care and anesthetizing locations can be interconnected to the room reference ground point. These modules are ideal for room ground bus extensions, making ground connections in large facilities more convenient. Patient Ground Modules also provide convenient access for testing equi-potential grounding systems. Patient Ground Modules may include up to eight 30A hospital grade twist-lock ground jacks. The front trim plate is constructed from a polished 304 stainless steel. A galvanized steel back box with internal ground bus is also included. Units are also available without ground bus and back box. In this configuration the user is to provide a standard gang electrical box. 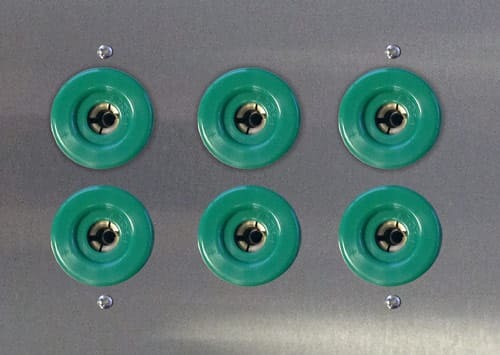 Room Ground Modules are typically wall-mounted in the operating room, providing convenient access for testing equi-potential grounding systems. These units serve as collection points for grounds in large areas including emergency rooms or ICUs. 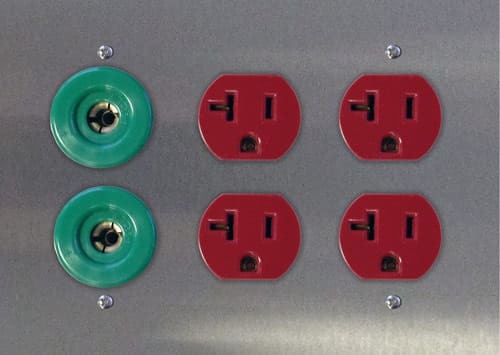 They are primarily used when the equipment ground bus in the emergency distribution panel is either inconveniently located or unable to accept the large number of connections required for the area. They can connect to that point with a single conductor and be placed in a more convenient location. Room Ground Modules include a box mounted reference ground bus with a polished 304 blank stainless steel trim. The standard module contains 24 ground terminals and a main lug. 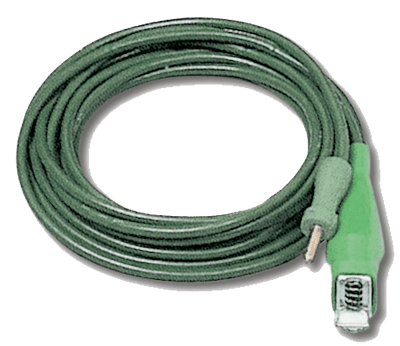 Ground Cord Assemblies are to be used in conjunction with Power Ground (PG) Modules and Room Ground Modules for proper bonding and elimination of touch-currents on portable carts and equipment. 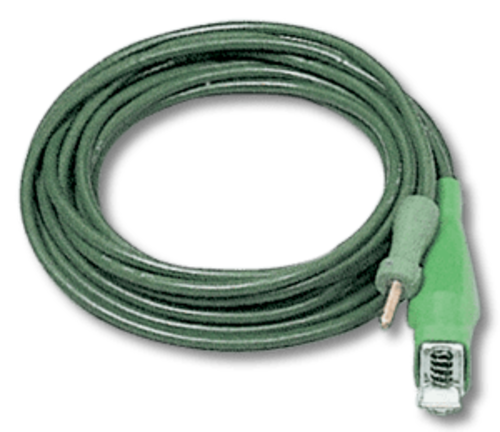 The cord is a flexible #10 copper conductor encased in green neoprene insulation. The cord is crimped to both the conductor and the insulation, increasing durability and guaranteeing long life. Plug will be a Hampden SLP-3PR, 30 amp. Standard lengths are 5, 8, 10, 12, 15, 20 and 25 feet. Connector options include a lug, alligator clip or insulated alligator clip.